Survivor: Ghost Island, the 36th season of the award-winning adventure reality series Survivor, premieres Thursday, March 1. The new season will be fast-tracked from America on 9GO! with episodes available to watch just hours after the USA, from 3.00pm the same day on 9Now. Unlike anything you’ve ever seen on Survivor, the worst nightmares of past contestants will haunt the dreams of the new castaways when, in a new twist, players may be sent to Ghost Island – a haunted island filled with Survivor relics from the previous 35 seasons. Returning to the Mamanuca Islands in Fiji, Survivor: Ghost Island features 20 new castaways divided into two groups of 10 and centres on the bad decisions of past players that ultimately led to them being voted off their island by the tribal council. The question is: will these new players be able to learn from the mistakes of others and “reverse the curse”? Or will the past come back to haunt them? 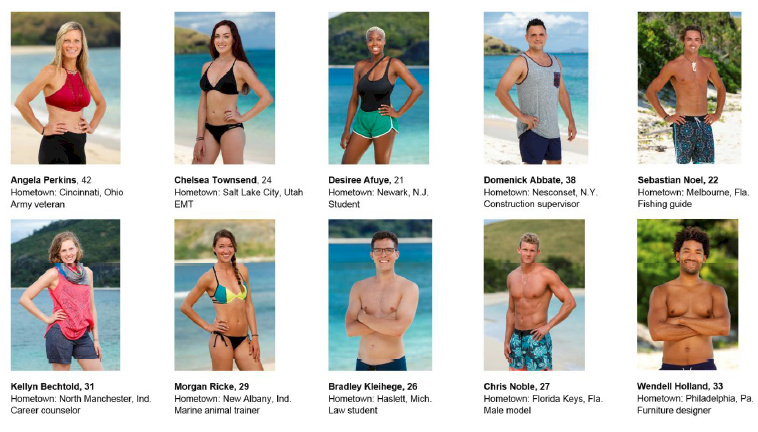 This season’s castaways include a social media strategist, an army veteran, an emergency medical technician (EMT), and a marine animal trainer, all forced to compete against each other with the same ultimate goal: to outwit, outplay and outlast each other in an attempt to become the Sole Survivor. This season is set to deliver thrills and chills as some of the castaways visit the haunted graveyard of unfortunate choices made by former players, as they compete for the $1 million prize and the title of Sole Survivor. Survivor: Ghost Island is again presented by Emmy Award-winning host Jeff Probst and produced by S.E.G. Holdco., LLC. Mark Burnett and Jeff Probst are executive producers. Survivor: Ghost Island is distributed internationally by CBS Studios International. I really enjoyed the first 2 episodes of this season. I know it’s early days but I’m getting a much better vibe than I did with last season. The Ghost Island concept could have been gimmicky but it’s been executed pretty well. The island itself looks great and it’s good that only some weeks people will have that opportunity for an advantage. I like that advantages are temptation too so have that element of risk that could backfire. The flashbacks to previous seasons are a really great touch too. The best thing about Ghost Island though is that the person going there misses out on Tribal Council - it’s an interesting new layer of strategy cos if someone goes there who was going to go or even was going to be a swing vote it really could change things. As for the casting it seems pretty good. Not as many annoying people as last season. Stephenie stood out to me as someone to watch out for (very parvatiesque). Michael and Chris are the perfect eye candy for me. 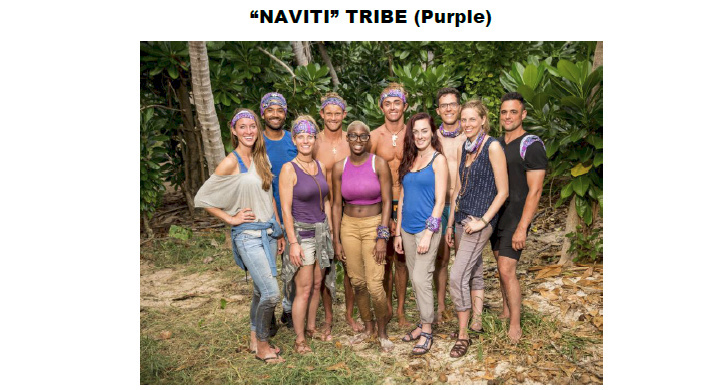 I didn’t like that they did a tribe swap so early this season. 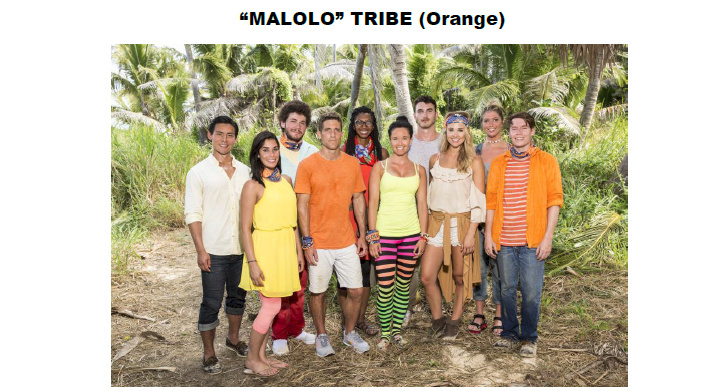 I guess the producers were wanting the choice of the person going to Ghost Island to be a bit more indecisive by the teams (which it ended up being) but it was at the expense of a tribal council where I couldn’t even remember who was from what original tribe. So it was all confusing when they were going on about the two tribes sticking together and I was lost as to who was with who. It would have been easier if they swapped but kept their old buffs if this was going to happen so early. Glad it wasn’t just me who couldn’t work out who was who going into the tribal. Still not sure what happened and why. Ghost Island seems designed to give the producers opportunities to interfere with the game by being selective with the presence and type of immunity on offer. Why would tow out of three so far get “no game for you”? Are they saving idols for favourites? Why would tow out of three so far get “no game for you”? I think this is better than EVERYONE getting an advantage. We already have the legacy, James’s idol (there might be the second one of his) and Andrea’s idol in play - if we had two more advantages 1 in 3.4 people would have an advantage. Also the flashbacks of this season have been so good, as soon as I saw James’ idol, I immediately got flashbacks to me yelling at the tv to 2007 when he was voted out and my awe at him getting two idols. I hope there’s more stuff from the old school seasons too. Well according to Jeff someone made a move. I have no idea what went on to be honest. It was impossible to keep track of. Well there needs to be a limit on the number of advantages otherwise it could become very gimmicky like last season. I’m hoping there are no more than 4 or 5 opportunities at advantages on Ghost Island. What will make the season interesting is more the fact that people will become suspicious of people who have been to ghost island possibly having advantages so could make them a target whether they have them or not. The best thing about Ghost Island for me though is 1 person missing out on Tribal… later in the game it could completely change votes. My favorite thing have been the flashbacks. It makes it like a reflective season without being an All Stars. So it was all confusing when they were going on about the two tribes sticking together and I was lost as to who was with who. Yeah, I didn’t have a clue what was happening. I’ve had to get a list of names in the new tribes, and along with TV Cynic’s post of names and photos above, I’ll watch it again and see if it makes more sense. I watched it again with lists of names and the photos at hand and it’s much clearer now. Basically, the original Naviti turned on itself, which allowed the new members to vote out whomever they wanted. Chris wants Domenick out because Domenick lied to him and has an idol. Domenick wants Chris out because he knows Chris wants him out. Prior to the challenge, Chris wanted Angela and the four newbies to vote Domenick out. For some reason Wendell likes the snake Domenick, so he wanted his enemy Chris gone. Chris was safe on Ghost Island, but Wendell believed that Angela was Chris’s right hand (she isn’t). Angela wanted to keep Naviti together and told Wendell she wouldn’t vote for Domenick. Wendell didn’t trust her and told her they’d vote for Libby. Morgan is also not a fan of Chris and sided with Wendell. Libby and Morgan hit it off, and Morgan believed Libby was with her to vote for Angela. So the swing vote was Libby’s. Her old tribe-mates wanted to vote for Morgan. She didn’t, but she went along with it. Angela would have been very surprised to get three votes she thought were going to Libby. Wow that was an amazing episode. Episode 3 must have just had shoddy editing because we had a similar situation on this tribe but it was quite clear who was with who. I was really impressed with Michael’s gameplay. Whilst it didn’t pay off he definitely did almost everything that he possibly could in that scenario. I’m surprised that nobody flipped with the double Idol threat. I am feeling this season a lot more now, the gameplay is much better than last season. Does anyone else agree that this has probably been one of the weakest seasons since Redemption Island? In fact it pretty much has been Redemption Island just with Wendall and Dom sharing the Boston Rob. They are completely controlling a tribe of pathetic people that refuse to budge from their original alliance and are not willing to ever make a move. The last couple of episodes have been entertaining but from a gameplay perspective infuriating. Des at least tried to make a move which people would latch on in any other season but instead she got shot down like she had committed a crime. It really sums up how safe this cast just want to play. Also Laurel being a little dibber dobber and floating in the middle is only guaranteeing herself 3rd or 4th and 0 jury votes. The double Tribal Council last week I thought was a great idea to shake things up and make it a little more itneretoing but of course all the pathetic useless players get on one tribe and then all the game players on the other. Michael was about the only likeable strategic person left so it sucked to see him go. But what on earth was Kellyn thinking playing her double vote without informing Michael what she was doing? I just feel like it was a stupid play. If you were going to put double votes on Laurel… tell Michael to vote Laurel! The level of Idols and advantages has just gone out of the roof these days too. It’s probably the reason that people are only playing so safe because they are too scared to do anything risky with so many advantages out there. They need to really pull it back next season or I’m worried about the future of Survivor. Yep. The gameplay from this years contestants is so weak. They might as well fast forward to Dom and Wendell being in the final 3 with a third person dragged along for the ride, that wont get any votes in the final. I blame Laurel mostly for this season being so one sided. How do they find people this stupid after 36 seasons? She’s had multiple opportunities to make moves and do something but she just plays it safe. She admits Wendell or Dom have all the power in this game yet is willing to allow them to drag her to the end. Sure last night jumping ship might have put her down the totem pole a tad but better to be in the game with something on your resume than make it to the end and be a certainty of no votes. I think the only exciting thing that could happen now is if Dom or Wendell decide to turn on each other at some point. I just don’t see it happening with how predictable this season has been. Pretty predictable Dom, Wednell and Laurel final 3 (Close vote between Dom and Wendell, Laurel’s only vote from Donathan). Wow season almost over already? This weeks must be another double boot ep (Immunity, tribal, immunity tribal) like they’ve done in the past or they could be having a final 6 for the finale. I hate when they rush the end games which is why I prefer 18 person casts to 20. To me this is one of the most boring seasons ever, I stopped watching it about 2 weeks ago. Why bother when you know that either Wendell or Dominic, neither one who I like, will win the whole thing. The last couple of episodes have been more entertaining but at the same time extremely frustrating. Like I said earlier it’s basically Redemption Island 2.0. Boston Rob controlled that season with such a dumb cast… this season his role is just split between Dom and Wendall and a pathetic cast that have no idea. They really need better casting and to scale things back a lot next season or the show might be on the verge of jumping the shark. The rumoured theme for next season is ‘David vs Goliath’. WTF is wrong with these people? Laurel openly says that she can’t beat Dom or Wendell yet once again stays with them. Then Kellyn knows that she is on the chopping block and despite Donathan wanting Dom gone, they all vote for Donathan and Kellyn!! I seriously have no idea anymore. Kellyn seemed like a smart player earlier on but then she wasted her double vote on Laurel the other week and last night did nothing to convince her closest ally (that complete useless girl, I think Ange?) to vote for Dom. Dom could have got three votes and gone given votes were split between Kellyn and Donovan by the others. Ughhhhhh. We havn’t even had any of the Idols flushed. Legit the only reason that Laurel has become the central person this season has to be that something big happens to her at the end. There’s been some speculation which will be interesting to see if it comes true. Might be the only good thing to happen in the last phase of this season. There’s a lot of talk online about how this season pans out and if the rumours are true, this season might at least end on a bit of a cliffhanger and a Survivor first. Let’s hope so as this season needs something exciting to happen before it’s over. And it sure did end on a cliffhanger. One of the craziest endings ever. I hate that so much of the reunion show was taken up with promotion for another CBS show. I doubt international broadcasters, such as Nine, were impressed. I really wanted to know why Donathan decided to vote for Wendell and not Dom. Instead I got the painfully unfunny Kevin Hart peddle his latest pile of garbage.